Kayleigh is now writing for Screenrant. Click here to see her articles, including her latest, “Why The Oscars Need a Best Stunt Work Category”. Redheadedgirl’s review of Lion, including gifs of Dev Patel. Can you see the happiness on Brie Larson’s face when Casey Affleck won his Golden Globe? 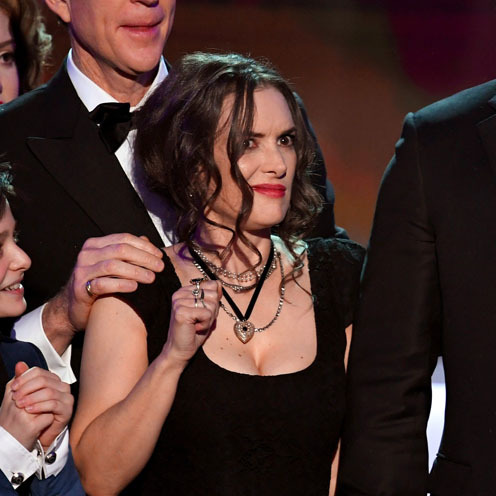 Winona Ryder provided Tumblr with a wide array of gifs after Stranger Things won at the SAG awards. Jackie Chan and his stunt team during the presentation of his honorary Oscar.